I am so happy to announce this wonderful Give Away! 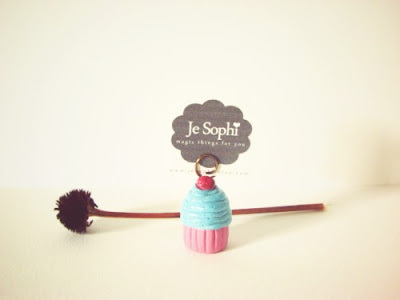 has this gorgeous Etsy shop JeSophi. you can win an amazing set of prices! Everything is handmade with love by Sophia. and not for sale in her shop! by telling about your favorite item from the shop. and comment on this post with the link. and tell us about your love for handmade items! a 10% discount on any purchase from the shop! Just add the code: Loveology in the check out box or the PayPal message. So many great things in this shop!! But I think that "My lovely pony" is my favourite! As an artist who loves hand made items, this is a great giveaway!!! I am going to check out her shop right now!!! Jij vindt echt altijd de leukste dingetjes op het internet he :) Ik kende haar winkeltje nog niet, maar alles wat ze verkoopt is zooo mooi! Vooral haar The Bloom Passion ketting vind ik fantastisch; een perfecte combinatie van schattigheid met simpele details. Dat balletschoentje, ah!, zo lief! I already visited the shop and my favourite item is the "Alice in wonderland Rabbit Clock Necklace". oh, i love love all the whistle neclases, and the envelope one. so so cute! My favourite one is most certainly the Seek and Peek - telescope, spy glass pendant necklace :) It's wonderful. Oh, what can I say, I love handmade things more than anything that can be bought in stores, it's so beautiful to think someone made it with their own hands, with love and care. Nothing can really be compared to that. I try to wear and have around me as many handmade items as I can :) and I try to make them too, of course. It's pure magic. So many cute things! I like the 3 flower post earrings and the gold envelope necklace! So adorable. I love making things myself and hoping to set up an etsy shop soon! i love the rocking horse and the tiny little acorn! I really into whistle necklaces these days! so I adore Gold bullion Whistle, and the Seek and Peek - telescope, spy glass pendant necklace is pretty cool too! Gold envelope (small envelope)... the little flower on it just caught my eye b/c it is soo lovely!! thank you so much for a chance to win! I love the bear necklace on JeSophi, from a little distance it's like the bear is looking angry, but up close he (or she) looks kind of happy. It's a perfect example of handmade charm, it has handmade faux fur marks and it's made without a mold. So that bear will never be made the same way again, it's unique! Great you always do give aways Mila, I couldn't resist participating! i love anything cupcake based! i also really like bows. oh boy, this would be just glorious to win. I love handmade things because the sentiment that goes to it is so much worth the price. It shows how a person's care can create something so beautiful, like these neat things! lovely giveaway! i love handmade items because they have so much more meaning than regular store bought items. all the effort and time that went into producing one item is far more special than manufactured items. plus, they always look unique and pretty too! 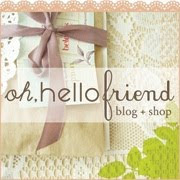 What a lovely shop and such a sweet giveaway! I adore the amethyst point necklace the most (my birthstone!). Thanks so much for the heads up my dear ;) Hope you're having a wonderful spring so far! What a great shop! I LOVE the telescope necklace.. so, so cute! I love handmade items because they tell a story, they are created with care and love, and they are derived because of a passion and creativity that is dwelling in another human being. They are also incredibly inspiring, no? These pieces are sooo CUTE! I love them. I perused through the shop and gosh, there are soooo many cute, unique, pretty things. Handmade things have something special about them which I love. Wow, this giveaway is beautiful!! I wish I could make things as lovely as these.. I <3 handmade though! I always make things as presents, it's so much nicer when it's been sewn together with love. I just looked at her shop and it is beautiful. I love handmade things, especially the character that they have. I adore handmade items, especially those with a vintage style. There are so many unique and truly creative things around! I love to create myself too, jewelry, paper goods and I like sewing too. I really love the Savage SILVER BOWnecklace !!! I'm a kinesthetic learner, so I've always loved to work with my hands. Making handmade items helps me express my creative side, as well as relieve stress from school. There's also an added personal element, since you know someone spent time and effort to specially make an item uniquely for you. Handmade is the best! I love so many things from this shop, especially the telescope! As a knitter and crocheter myself, I have a love and pride of handmade items. Cool giveaway! My fave would be the Drop in Time necklace. Oh what a beautiful giveaway again Mila! so sweet to have a purse on a chain! I'm so liking the large golden butterfly necklace. i'm not entering just wanted to comment to say I frickin LOOOOve jesophi!!!!! she's a genius with cuteness!! the earrings the earrings! i am quite in love with everything this woman does. my fiance got me the carousel necklace for christmas and it basically was the best gift i have ever received! 3. I adore handmade items because no two are exactly the same. When something is handmade, it's like a fingerprint. It doesn't get more special than that. Thanks for this opportunity, all of these masterpieces are just so gorgeous! Wow what a beautiful shop! they are just so romantic and beautiful, I may just go buy them! It is all gorgeous!! My favourite is Savage silver bow necklace. 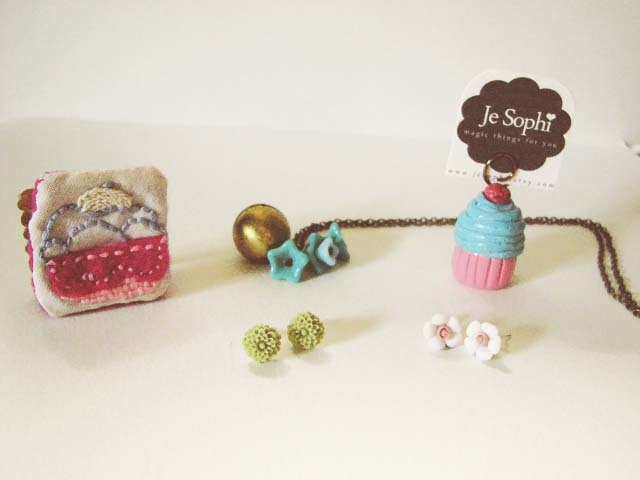 Oh how lovely is the 'Drop In Time' necklace! I'd love me some of these. Wow those handmade items amuse me!! I absolutely love handmade items 'cause they show us that god has given a pair of great hands for human ;)And handmade items are SPECIAL. Hot air balloon with lovely colors! We are more than happy to see those giveaways. I love the "I have a little secret" necklace. so Cute! also love the harmony brass heart. so cute. her stuff is beautiful! i love that gold bullion whistle necklace! also, i love handmade items because i know that a lot of hard work went into each piece. it makes it so much more personal & valuable because of that!